Our library includes Macmillan brochures and books on diagnosis, treatment, and coping with cancer. Welcome to the ESCA CancerSupport library, which is open and available for all: members and their families, volunteers, peer supporters, counsellors, and therapists, to name a few. If you need any help finding information please contact us at library@cancersupport.ch. There are two lists to help you find individual titles: one is arranged by the subject and the other by the author. We also have books for children. There is a small collection of DVDs. Come to the library to browse and borrow any one of them (see library procedures). Please feel free to recommend any titles you would like added to the library. If you are interested in reviewing any of these titles, please contact either Irene Bertrand or Sandra Oakley at library@cancersupport.ch. Several book reviews written by members are available online for you to enjoy. If there is a particular book you are looking for, don’t hesitate to contact the librarians at library@cancersupport.ch. We have a collection of Macmillan Cancer Support brochures. This UK Charity develops publications specifically for people with cancer and their carers. We’ve also compiled an online list of reliable and up-to-date cancer information websites for patients, families and carers that can be access through our resources web page. Books may be borrowed for an initial period of six weeks. On request, loans may be renewed for a further period of six weeks by sending an email to library@cancersupport.ch. Four books and/or Macmillan brochures may be borrowed at one time. (1) Take the library card from the back of the book and enter name, date and telephone number. (2) File the card in alphabetical order by name of author in the small file box marked LIBRARY BOOKS on loan. (1) Take the library card from the small file box and cross out the name. Return the card to the back of the book. (2) Shelve the book according to the catalogue number or, if unsure, leave it on the table to be processed and shelved by one of the librarians. This excellent little book tells the personal experiences of two ladies caring for their husbands both with incurable cancer. They met through the Macmillan online carer support forum and decided to write a book about their own experiences but only met up when their husbands had died. Each chapter covers a different practical theme such as Passing on the News, Managing at Home During Treatment, At the Hospice etc. Each author writes about her experience under each theme and sometimes there are joint notes about what they had learnt. The book covers the personal element as well as practical advice for those in similar situations. This book is in fact more about the life of the author, a writer/director of documentary films and then his late marriage when he was in his mid-forties. His future wife had already been diagnosed with cancer so this is the honest story of their 13-year marriage. The last third of the book covers his life after the death of his wife and his spiritual path towards peace. 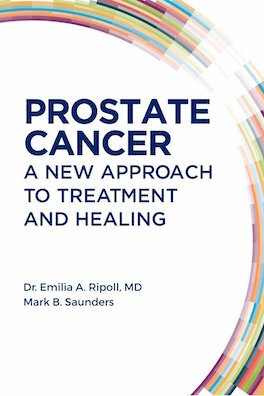 “If you or someone you know is one of the thousands of men diagnosed with prostate cancer each year, this book is must reading. In Prostate Cancer Breakthroughs, best-selling author Dr Jay Cohen provides new information on PSA testing, targeted biopsy, and ground-breaking prostate cancer treatments." Concise and easy to understand, Prostate Cancer Breakthroughs focuses on the information that all patients need to know. It offers a step-by-step look at the entire diagnostic process, up to and including the diagnosis…and describes twelve different treatment choices that may be considered. Although this book is based on recent practice in the USA, I am sure it will prove very useful for patients who are newly diagnosed in Geneva, Vaud and neighbouring France. The information is clearly presented and very accessible for newly diagnosed patients and their families. Both the authors are outstanding medical practitioners who have their own personal experiences of living with breast cancer. After hearing Dr O’Riordan speak on You, Me and the Big C, I was sure that this book would be of immense interest to all the ESCA members who are living through their own breast cancer journeys. It is warmly recommended by Macmillan Cancer Support. This book was featured on the inspiring and thought-provoking podcast: You, Me and the Big C. In this very accessible book, Deborah James will guide you through every twist and turn which follow a difficult diagnosis, showing “how you can still live your life and be YOURSELF with cancer.” She has been a co-presenter of You, Me and the Big C, since the outset. Marissa Henley is a devout Christian and her faith permeates her book. A cancer survivor herself she knows what it feels like and what your friend truly needs. She prepares the reader to support the friend with both knowledge and compassion, in a practical and spiritual way. This is the third edition of a very easy-to-read little book, which explains all aspects of the disease to new patients or their loved ones. It is a simple straightforward guide, which is highly recommended. The strong link between nutrition and cancer has been proven over the last decades and research confirms that a healthy diet can indeed help prevent the risk of cancer. The authors of this book, which contains the latest nutritional and scientific information (with references), advocate a plant-based diet, reducing or eliminating meat and dairy products i.e. vegan. There are plenty of recipes to complement the nutritional information. slim volume is intended primarily for the medical profession. epidemiology, diet and lifestyle, prognosis, management of treatment etc. references to the latest research.